These look Normal but are Gimmicked! Hand them to a spectator to cut a piece of rope - THEY WON’T OPEN!! Take the scissors back, open them, then hand them back to the spectator. Now, with the scissors open, BUT THEY WON’T CLOSE!! Act exasperated - grab the scissors back and demonstrate how they work by opening and closing them rapidly - even cut rope with them. Hand them back to the spectator again and they won’t open again! 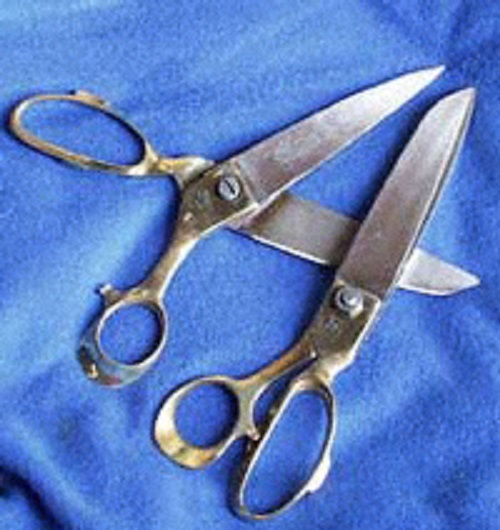 These scissors are expertly crafted with a hidden mechanism - the quality is outstanding. The mechanism is absolutely invisible and undetectable even for the person that has the scissors in their hands! A must for your next cut and restored rope or any routine you can squeeze in this marvelous gag.